This for example is the visualisation of the AngularJS source code. 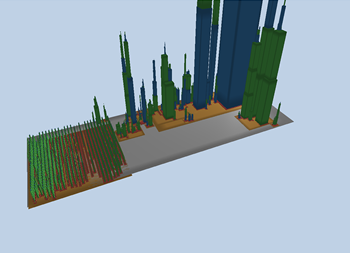 JSCity even allows you to interactively navigate these visualisations, which is pretty cool. In any case, JSCity is a useful tool for analysing and understanding software complexity.